The BC government seeks to help smaller businesses, introduces Forest Act amendments to prevent concentration of harvesting rights by major licensees. Meanwhile, on the caribou front: BC Liberals call consultation sessions call a sham; BC’s caribou director says otherwise; and Chapman’s Ice Cream seeks to profit from the controversy. In other news: Ontario’s budget to create conditions for forest innovation; US construction inputs rise despite lumber woes; and Georgia Pacific will close its Oregon Coos Bay mill. Finally, 10 of the top 20 US landowners are forest companies and tree-based rubber can help fight the world’s plastic pollution problem. VICTORIA, BC — Atlantic Towing Limited (ATL) is pleased to announce three new partnerships with Indigenous communities in British Columbia, for whom the ocean, coastline and marine resource protection is vital. In August 2018, the Canadian Coast Guard awarded a three-year contract to ATL for the provision of two emergency offshore towing vessels that will operate in BC coastal waters. 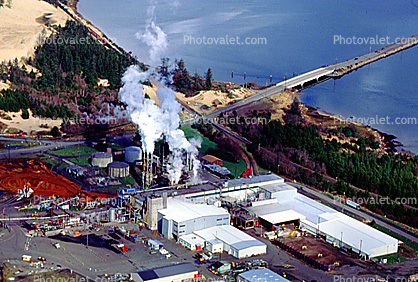 …Since that time… resulted in new relationships: a Joint Venture Agreement between Songhees Seafood & Steam and ESS-Compass Group Canada; a contract with Salish Sea Industrial Services. …Atlantic Towing is a member of the J.D. Irving’s Transportation and Logistics’ family of companies. Where there’s smoke, there’s fire. Wood too. At their bi-monthly meeting Tuesday night, Smithers Town Council brought up public complaints surrounding the wood pellet factory on Railway Avenue. Taylor Bachrach says a community organization called Clean Air Now contacted him regarding some photos they took of smoke coming from the factory. The group describes themselves as “a network of concerned citizens committed to improving air quality in the Bulkley Valley through communication, collaboration and action,” on their Facebook. …He says the key in situations like these is communication and that he has connected members of the group with members of Pinnacle Renewable Energy, which owns the majority of the facility. Today the 2019 Ontario Budget, Protecting What Matters Most, was released at Queen’s Park. Forests Ontario CEO and Registered Professional Forester Rob Keen applauded the positive attention to the province’s forest sector, across both southern and northern Ontario. Keen went on to say, “Ontario’s forest sector, and our forest management are the best in the world, the level of support exhibited by this Budget is key to ensuring our forests can continue to provide social, economic and environmental benefits for Ontarians in perpetuity.” Forest Ontario recent report, The Economic Value of Tree Planting in Southern Ontario has current data on how tree planting alone, provides not only obvious benefits like direct employment but also economic impacts and measurable environmental services. …It’s important that we recognize and celebrate all the benefits Ontario’s forests provide, and how they contribute to the wellbeing of all Ontarians. QUEENS PARK, ONTARIO – Finance Minister Vic Fedeli delivered the Ontario Progressive Conservative Government’s budget. …Our government’s approach… is built on a foundation of four clear priorities. …the federal government is taking deliberate steps to make the cost of nearly everything more expensive. …Ottawa imposed a job-killing carbon tax on the people of Ontario and three other Canadian provinces. Our government considers the carbon tax to be a clear and present threat to the affordability of life’s basic necessities. It will also increase costs for automotive manufacturing, transportation, mining and forestry, putting thousands of jobs at risk. …In the face of these challenges, our government is determined to turn this situation around through a number of initiatives, including: …Developing a Forestry Strategy to increase wood supply and create conditions for the industry to innovate, attract investment and create jobs. Prices paid for goods used in residential construction increased 1.5% in March according to the latest Producer Price Index released by the Bureau of Labor Statistics. Prices have risen more quickly thus far in 2019 than they did during the same period in 2018 and are at their highest level since last October. …Consistent with weekly data published by Random Lengths, the PPI report shows that the pace of softwood lumber price increases has recently attenuated. After climbing 2.3% in February, prices paid for softwood lumber rose a modest 0.5% in March. …OSB prices fell 6.1% in March, the fourth decrease over the past six months. …The downward trend in prices paid for gypsum products continued in March, as prices declined 0.3%. 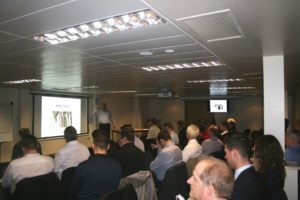 Accessible, affordable training across a range of timber-related job roles is being rolled out by the Timber Trade Federation starting with three cohorts of delegates on its timber sales management courses… “The key to embedding regular training as part of business culture across the timber supply chain is to offer programmes that deliver a definable return on investment for the employer, yet to not set that investment-level so high that it deters companies from making the commitment to staff training in the first place,” declares Timber Trade Federation managing director David Hopkins. “Our first Foundations of Sales Management course starting this month was sold out almost immediately… We are pleased to see the swift take-up amongst companies wishing to give themselves the competitive advantage that staff training costing just £1,500 for a year’s tuition will bring to their business,” Hopkins adds. 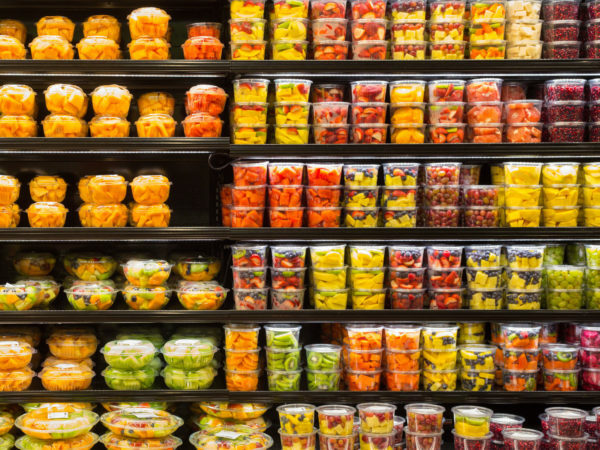 Scientists at Ohio State University say they have developed a viable alternative to petroleum-based plastic food packaging by using natural tree-based rubber. According to the researchers, the new biodegradable material holds promise for fighting the world’s growing plastic pollution problem, as well as for helping curb our reliance on fossil fuels. …The new material developed by Ohio State scientists, detailed in a new study in the journal Polymers, involves melting natural rubber into a plant-based biodegradable plastic called PHBV, and then adding an organic peroxide and an additive called trimethylolpropane triacrylate (TMPTA). The scientists’ end product was 75 percent tougher and 100 percent more flexible than PHBV on its own. …Now, the researchers are focusing on the potential use of additional biodegradable materials that might be used to make their product even stronger. They’ve considered tomato skins, egg shells, and even invasive grasses being removed from waterways as possible options. Markdale, ONTARIO – 25 cents from each box of these Chapman’s products sold across Canada will be donated towards ongoing Caribou protection efforts through CPAWS. “Many Canadians recognize that it is our responsibility for future generations to protect biodiversity of our great country” said Ashley Chapman, VP of Chapman’s Ice Cream, “and we want to contribute to this process and bring attention to the ongoing deterioration of Canada’s wildlife.” With 13 chapters across CPAWS works with provinces, territories and the federal government, progressive companies, local communities and First Nations to protect important ecological and cultural landscapes. We spoke with Darcy Peel, the Director of the B.C. 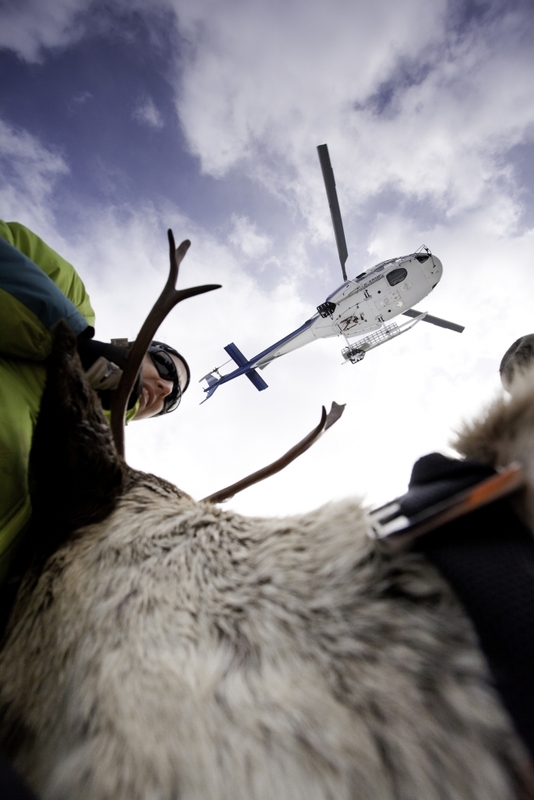 Caribou Recovery Program for the B.C. government, to seek answers to Revelstoke community concerns about the ongoing draft caribou recovery plan consultation process. Ahead of the B.C. 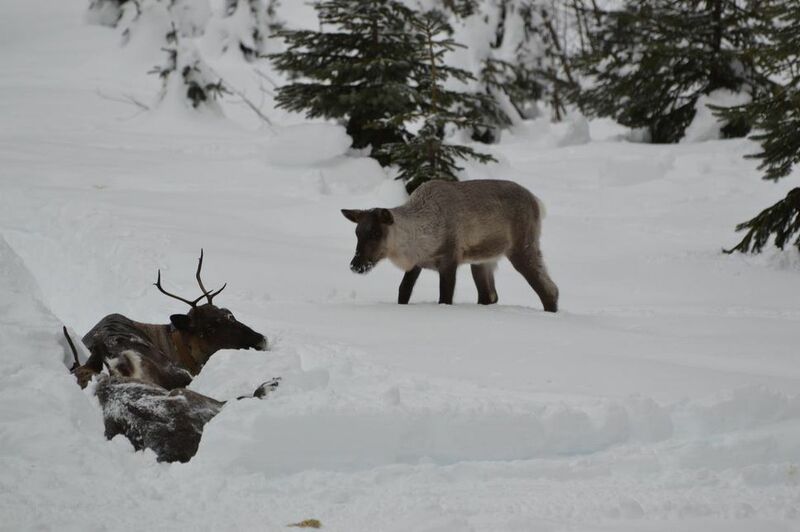 government’s Revelstoke open house on the draft caribou recovery program on April 15, we contacted Darcy Peel, the Director of the B.C. government’s Caribou Recovery Program within the Ministry of Forests, Lands, Natural Resource Operations and Rural Development. In this interview, Aaron Orlando relayed community concerns about the ongoing consultation process to Peel for his response. Why the short consultation period? How can stakeholders provide meaningful input with the incomplete information provided in the draft plan? What are the implications for forestry and backcountry recreation? What will the socio-economic impacts be? Where are the specifics such as mapping? What is the nature of the dynamics between the federal and provincial governments on this plan? Illegal dumping has been a long-time problem around Ladsymith and throughout the Cowichan Valley. Ian Morrison, chairman of the Cowichan Valley Regional District, said some people seem to have deposited the whole contents of their homes in the forests and bushes in the area. …In an effort to try and deal with illegal dumping, the CVRD and Mosaic Forest Management are partnering to support illegal dumping clean-up efforts throughout the month of April. …All around the world, groups of residents are taking up the #TrashTag challenge in their communities, cleaning up dump sites and litter while raising awareness about the issue through social media. After a winter with below-average temperatures, Okanagan residents are beginning to see the light at the end of the tunnel. …With wet springs followed by smoky summers seemingly becoming the norm, UBC Okanagan’s David Scott provides his opinion on what’s in store for 2019. Scott is an associate professor in earth, environmental, and geographic sciences at UBC Okanagan and the Forest Renewal British Columbia Research Chair in Watershed Management. What is the snowpack currently sitting at in the Okanagan Valley? Right now, it’s at about 80 per cent of normal, which is pretty low and about half of what we had in last year’s record-breaking season. …Is there a connection between the snowpack, flooding and the forest fire season that follows it? There is a connection—but I consider it to be a weak one. Amendments to the Forest Act will enhance public trust and ensure public forests are managed in the best interests of British Columbians. “We want all British Columbians to benefit from the forest industry, including companies, large and small, First Nations, workers and communities,” said Doug Donaldson, Minister of Forests… “These amendments will help support a vibrant and diverse forest sector by preventing further concentration of harvesting rights.” With the changes, forest companies will now need approval from the minister before they dispose of or transfer a tenure agreement to another party. As a result, the minister will be able to refuse to approve the new arrangement if it is not in the public interest or put conditions on the approval. 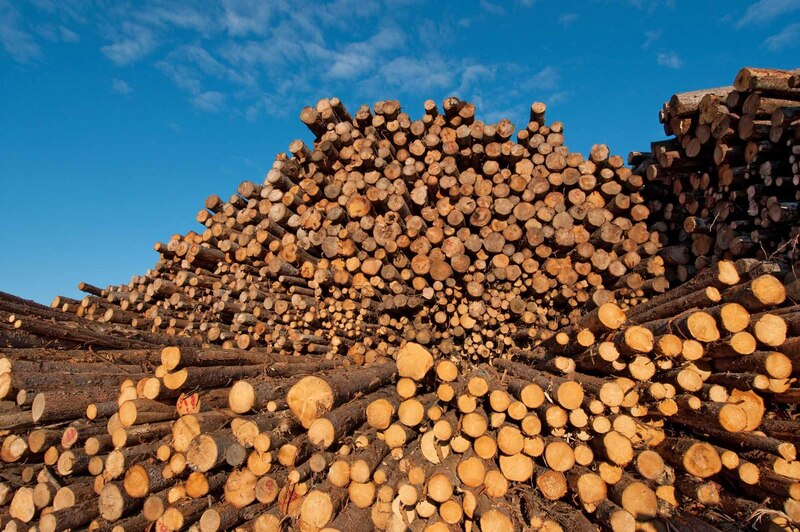 For years, through the control of the disposition of Crown tenures, major forest licensees have controlled the market for milling and forest tenure holdings. As a result, smaller operators like communities and First Nations found it harder to compete. The B.C. government is changing the rules for timber licences, requiring provincial permission for companies to trade or dispose of cutting rights. Forests Minister Doug Donaldson introduced amendments to the Forest Act to restrict companies’ ability to trade or sell Crown timber licences, to “prevent further concentration of harvesting rights.” The change is part of Premier John Horgan’s promised revitalization of the forest industry. 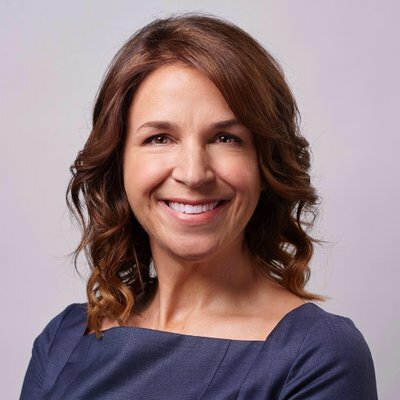 …“To approve the transfer, we will first want to understand how it will help the people in British Columbia and encourage diversity in the forest sector,” Donaldson told the legislature. Donaldson said a key part of the strategy is to provide more economic opportunity for Indigenous communities. On the B.C. Coast, the historic concentration of cutting rights in the hands of a few big players has been focus for the Truck Loggers’ Association, as logging contractors struggle to remain viable. Fifty York Region high school students and 10 teachers participated in the region’s eighth annual Envirothon Biodiversity Challenge at the Bill Fisch Forest Stewardship and Education Centre, part of the Hollidge Tract of the York Region Forest in Whitchurch-Stouffville. It is a two-day interactive outdoor educational eco-challenge to learn how sensitive forest and wetlands are affected by human land use that includes farming, nearby and proposed communities, golf courses and transportation systems. The five team-oriented workshops in the program aims to develop problem-solving and critical thinking skills. Students study soil quality and attributes, wildlife, aquatics, agro-ecology and forestry. The group will return April 24 to compete on what they learn here and study further, with the winners moving on to a province-wide competition. As we look around, we tend to take the healthy appearance of much of our forests for granted. But that is due, in part, to the work done by Dr. David Nanang and his team at the Great Lakes Forestry Centre (GLFC). …He oversees the research done within the facility, represents the federal government on forestry issues in Ontario… and oversees research on cumulative effects of natural resources development across the country. “The challenges we face in forestry, and we’re aware the Canadian taxpayers are paying us, are to look out the window and see what issues are affecting our forests and how our research can help to deal with some of those issues,” Nanang said. One of them, of course, is insect pests. The Land Report, a magazine for the American landowner, publishes a list of the 100 biggest private landowners in the U.S. every year. Unsurpisingly, the wood products market claims quite a few names on the list. …Coming in at number 20 is the Stimson family who owns and operates Stimson Lumber… owning and managing over 552,000 acres of forest land. 19. The Martin family, who owns and operates 570,000 acres of forest land. 18. The Ford family, who owns Roseburg Forest Products, owning 580,000 acres. 15. The Hamer family who owns 600,000 acres. 9. Peter Buck… after co-founding Subway, he purchased 925,000 acres. 6. J.D. Irving owns 1.25 million acres of land. 4. The Reed family, who owns the forest products firm Green Diamond Resource Company, owns 1.73 million acres. 3. 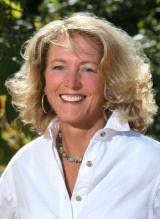 Owners of Sierra Pacific Industries, the Emmerson family owns and manages 1.96 million acres. Wildfires are increasingly part of our experience in Washington state, with smoke choking our lungs and flames damaging our landscapes, homes and vehicles. 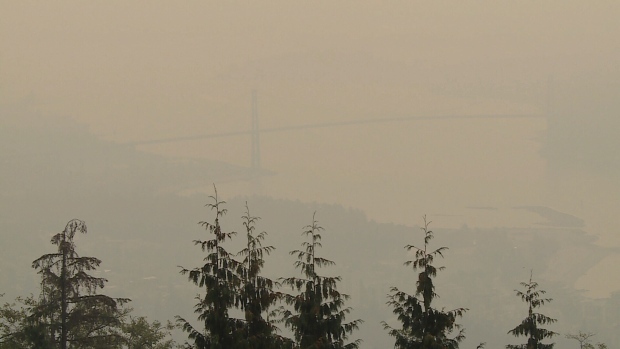 At one point last summer, wildfire smoke caused Washington to have the worst air quality in the world. In Spokane, the Air Quality Index reached 382 on Aug. 20, making it one of the five worst cities in the nation for breathing. That’s the equivalent of smoking about 17 cigarettes a day. We have a wildfire crisis in Washington. The Department of Natural Resources, our state’s wildfire fighting force, responded to 1,850 wildfires last year – the most on record – with 40 percent of them on land west of the Cascades. This brings home the point that wildfire threatens all of us, east and west, urban and rural. …With healthier forests and additional firefighters and equipment, we will save money by proactively reducing severe wildfires, which are tremendously expensive to suppress and incredibly damaging. Though people from all walks of life visit our national forests, those who manage, care for and study them aren’t as diverse. An overwhelming 95 percent of foresters and conservation scientists are white, according to the Census Bureau. To address this disparity, Michigan State University has partnered with Medgar Evers College, or MEC, a minority-serving institution, to attract more minorities and fill the growing demand for trained foresters in the United States. The 3+2 degree program has students spending three years at MEC and then two years at MSU. At the end of the five years, students will have earned a bachelor’s in environmental science from MEC, and a master’s in forestry from MSU. “This partnership will increase diversity within MSU and the forestry profession,” said David Rothstein, professor, MSU Department of Forestry, who is leading the partnership. …With deforestation affecting all life on Earth, it needs addressing urgently, and Biocarbon Engineering believe they can help. The company have designed drones which, in September, planted seeds in a field just south of Yangon, Myanmar. 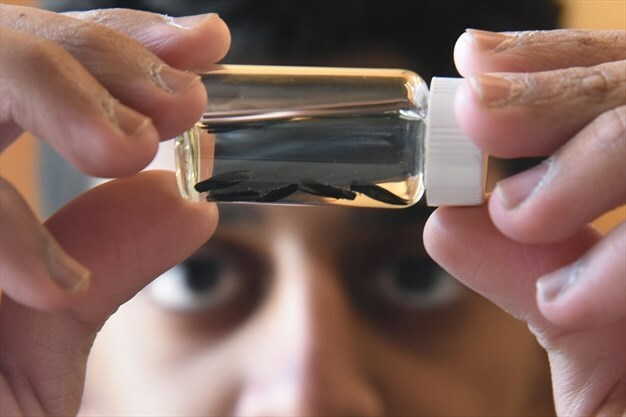 These seeds have now grown into mangrove saplings, about 20 inches tall, and now Biocarbon Engineering are looking to ‘replicate this success’ elsewhere. 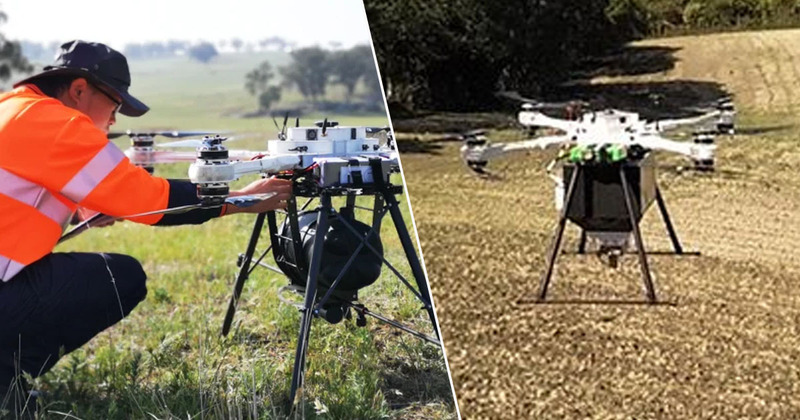 Biocarbon Engineering also used drones to plant both trees and grasses at abandoned mines in Australia, as well as other locations over the world. …It’s estimated two operators working with 10 drones can plant an amazing 400,000 trees a day. …After flying over the areas, the drones then map it, while collecting data about the soil condition and topography to determine the best locations to plant seeds. They then fire biodegradable pods into the ground, which are filled with a germinated seed and the nutrients it needs.